These crochet "longboard" shorts are like vintage surf shorts!! Knee length with drawstring waist, these are colorful and funky. Great for summer festivals, beach parties, or just put them on..you will never want to take them off!!! These shorts are made from recycled vintage afghans blankets!! Please understand I make these out of recycled materials and not all color schemes are available at all times!! Each is a unique, inspired creation. Please include waist size, inseam, and any ideas you have about color or pattern--I will do my best to match up what you are looking for with what I have in stock. 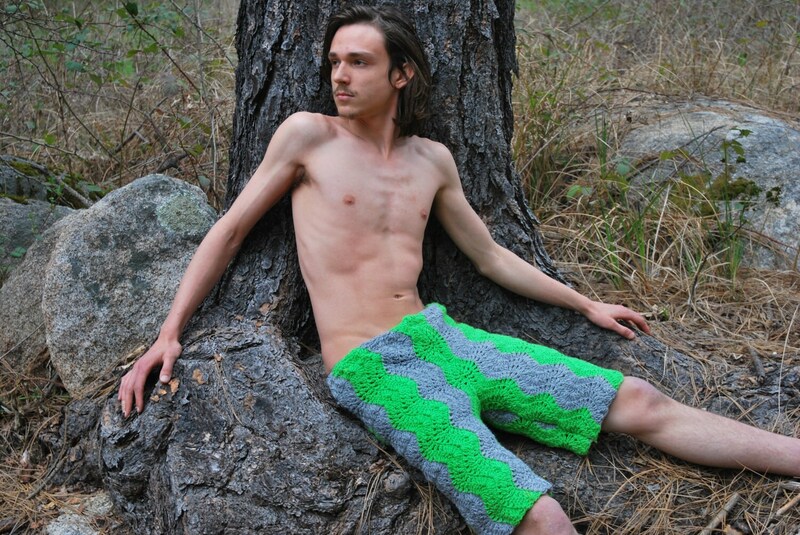 You are also welcome to send us a crochet from your collection and we will upcycle it into shorts!! Please let me know if you need them for a specific date, an event, or a birthday, and I can try to get them to you in time.Above size 40 we ask an extra $10-15 for my seamstress, Deedee.